Disappointing. The first four books in this series are well-written and enjoyable, but this - the seventh - is a hotchpotch muddle with too many characters, a large number of author asides, and a confused plot. Would make almost no sense at all to someone who had not read at least some of the previous books. Got a little silly and melodramatic in comparison to the rest of the series. There was very little ballet in this one, but I enjoyed revisiting the characters from earlier books and having the gaps in their stories filled. Although principally continuing the story of Ella, 'Return to the Wells' definitely marks the widening of Lorna Hill's perimeters. Whereas the earlier books contrast the rural activities of Northumberland, the Border Country and Scotland with London, a greater European sensibility is now clearly discernible - the slightly exotic inclusion of post-war tourism to the ski slopes of Switzerland; the appearance of minor European royalty and the brief placement of the latter part of the novel in a Swiss finishing school.Although decidedly more escapist than its predecessors, 'Return' still retains the warmth and beauty of the earlier Wells books and there are more than enough old favourite characters throughout to satisfy the most ardent Lorna Hill fanatic. Five stars. This is a very sweet and moving story. First, though, we go back about six months and follow Mariella through the days after Jane's wedding, and how she escapes from a tricky situation. Then we rejoin Ella, now known by her true name of Rosetti, who is finally settling in at Sadler's Wells and making excellent progress. But her health is an issue, and desperate measures are called for if she is first to recover, and then resume her training. Unfortunately, Ella misunderstands the situation, and thinks that she is "threatened" with tuberculosis. How she eventually learns the truth and returns to the Wells is an all together enchanting story. Highly recommended. 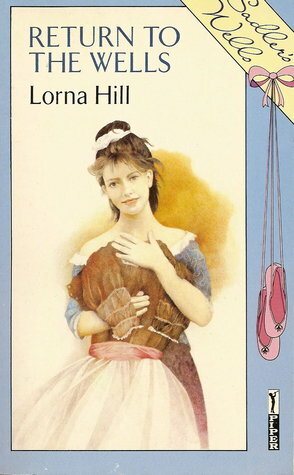 Lorna Hill - Hill attended school in Durham and then went to Le Manoir in Lausanne, on the shores of Lake Geneva, Switzerland. She obtained a BA at Durham University, and there met her husband, a clergyman. They moved to the remote parish of Matfen, Northumberland, where she played the organ in church and ran a Sunday school.Hill's career as an author began when her daughter Vicki, then about ten years old, found a story her mother had written as a child and asked for about its characters. The result was a series of eight books about Marjorie & Co, illustrating them herself. These began to be published in London in 1948. They were followed by the Patience series and several others.When Vicki left home to be a ballet student at Sadler's Wells in London, Hill missed her and began to write her Dream of Sadler's Wells series. She eventually wrote a total of 40 children's books, as well as La Sylphide, a commissioned biography of the dancer Marie Taglioni, and two romances for adults, published in 1978. Hill was then obliged to stop writing by ill health. She is said to have been firm with publishers and to have earned more from her books than many of her contemporaries. Translations of some titles into several other languages appeared, including less usual ones such as Finnish (by Pirkko Biström, 1991), Indonesian (1994), Czech (1995) and Slovenian (by Bernarda Petelinšek, 1996).More information at Wikipedia.